Team CFCU is excited to kickoff another succesful Summer Concert Series on June 21st. 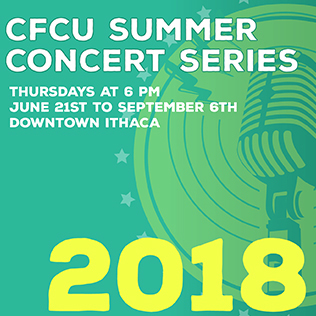 CFCU is thrilled to once again partner with the Downtown Ithaca Alliance to bring to you the award-winning CFCU 2018 Summer Concert Series. 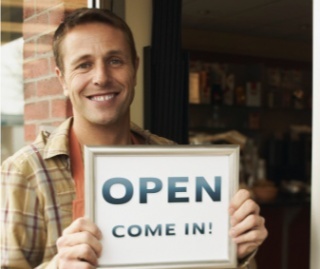 We'll be there every Thursday from 6-8pm until September 6th. Come down to the Commons and say "Hi" to Team CFCU or play corn hole with us! We'll also be handing out giveaways throughout the series. Check out our great Line-up this summer! The 2017 CFCU Summer Concert Series also featured CFCU cups! These reusable, concert series cups, could be purchased for only $1.00! All of the money collected for the cups went to The United Way of Tompkins County. Plus, each time someone used their reusable Concert Series Cup when purchasing a drink at the performances, they received a raffle slip for prizes given away throughout the summer, including tickets to Grassroots and Downtown Gift Cards! Official Rules & Alternate Method of Entry. Once again CFCU gave out a custom concert series t-shirt! These t-shirts were FREE for CFCU members with proof of membership ($5.00 for non-members which went to the United Way of Tompkins County).